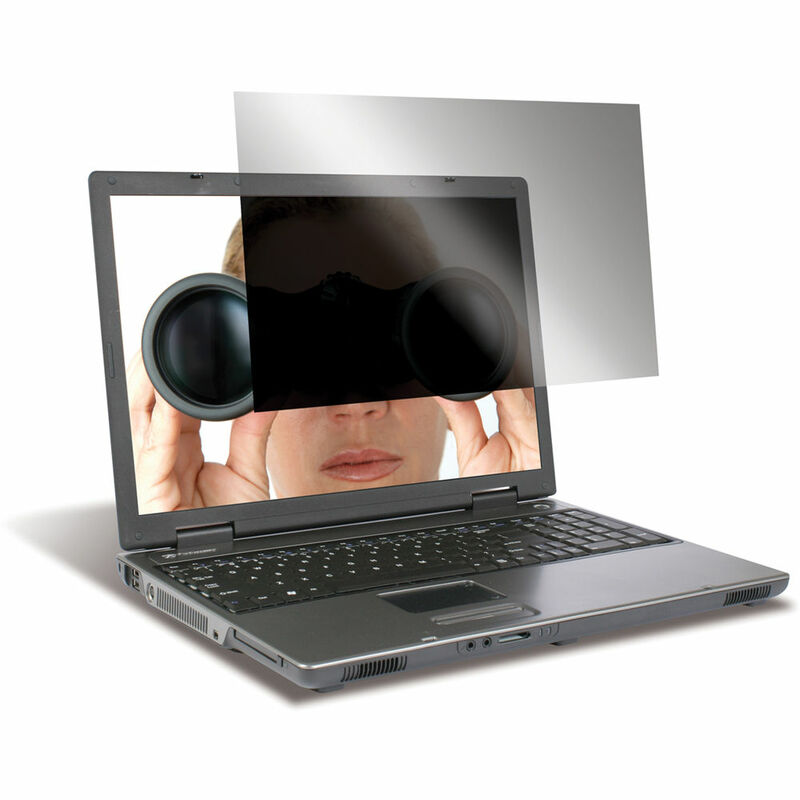 The 12.5" Widescreen Laptop Privacy Screen from Targus protects sensitive on-screen data from prying eyes. Small vertical blinds narrow the viewing angle so that data can only be viewed clearly within a 45° angle. Outside of this range, onlookers see only a dark screen. The anti-glare privacy screen includes adhesive strips and tab guides to hold it securely in place. These tabs can be positioned to allow the privacy screen to slide easily on and off. Box Dimensions (LxWxH) 14.5 x 10.5 x 0.01"